Excitement is mounting here at Pedal Portugal HQ. And not just because Bournemouth Air Show is on at the moment and I’ve got fighter jets screaming through the skies above my house, flying upside down, doing loop the loops, and generally making a racket. No, the reason for the excitement is that in less than three weeks times me and the missus will have landed in Spain and be on our way down to northern Portugal – for almost four weeks of cycling and exploring new routes. We’re taking the 27-hour ferry trip from Portsmouth to Santander – so please keep everything crossed for smooth seas in mid-September. Once in Spain we’re going to have a couple of days looking at cycling routes through the Picos d’Europa and then we’ll be making our way down into the north-east corner of Portugal. Our tandem will be loaded into the back of our van and the plan is to spend some time around towns like Braganca, Miranda do Douro and Chaves. We’ll be exploring the upper reaches of the Douro where it borders Spain, as well as the mountains along Portugal’s northern border, including the gorgeous Peneda de Geres national park. Some of it’s places we’ve been before, some of it will be completely new to us. 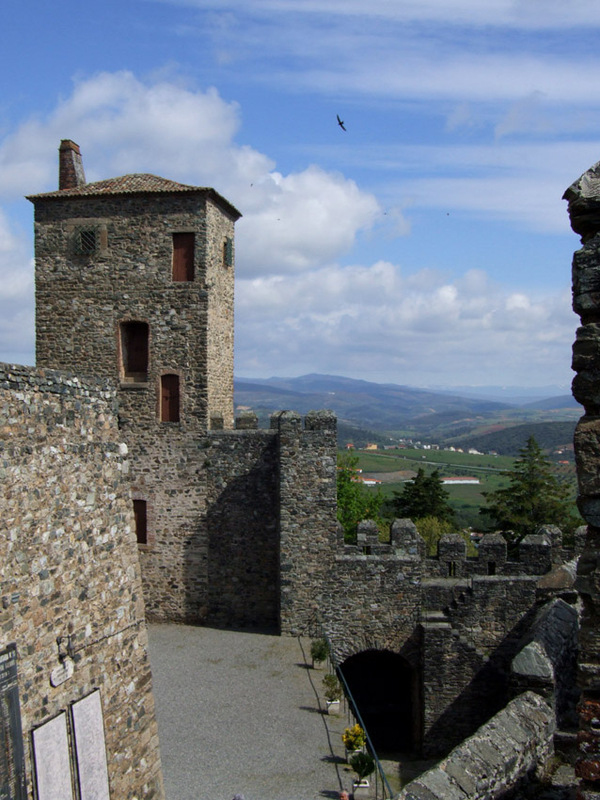 My hope is that I’ll be able to plot some longer routes – I’d really like to extend my Border Castles Tour north of Douro (ultimately creating an inland route all the way from the Algarve to Galicia). I’ll also be taking notes as we travel through Spain so I can give more help in the future to anyone else wanting advice about riding down from the northern ferry ports. I also want to add a few more day rides to the website for northern Portugal. At the moment, the only one is the Montalegre Circuit, which covers some gorgeous and remote countryside between the border town of Chaves and the Peneda Geres. From a couple of fairly brief visits I made in the past, I know there’s some wonderful countryside to explore – it’s remote, wild and one of the least visited areas of Portugal. Should be fun! Love to see you enjoy riding in the Northern Regions. I’ve been riding these roads for years as my parents have a summer home 2 km from the Rabagão reservoir. You should try to make it over to Boticas, another nice small town with some nice roads to ride. I’ll be there in the Aug 2015. I’m very jealous! Wonderful area. Not sure when I’ll be back next but will say hi if I spot you. Still counting the days down! I still am writing up my notes of our Iberian trek but attached is our arrival in Lisbon after I trip from Lisbon to Seville and then up to Santiago de Compastelo. I truly incredible trip and I recommend cycling in this part of the world to anyone. Great country and people! Although the tandem frightens me but the joy of cycling in that area is incredible. We want to hire bikes in Porto and drop them off in Lisbon any advice or recommendations about suppliers? Would also like to hire a guide for the Porto to Lisbon trip. There are some bike hire places listed in the Directory & Links section. I’ve not used any of them but there are a couple of national outfits that have TripAdvisor recommendations. Afraid I’ve got no ideas about hiring guides. Not heard of anyone offering or wanting that service before. I can give advice on routes if you send me an email with more information on what you want to do. hold it down Huw… travel wit’ our blessings. Portugal in 2015 for me peeps!